Do you need a mobile web site? As a Maine small business owner, is a mobile web site a good investment or a waste of dollars? Forrester research estimates that, by 2015, 45% of all web users will own a smartphone. 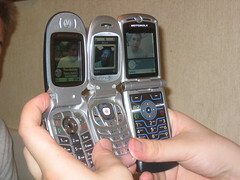 Smartphones are those little pocket computers like the iPhone, Android, and the Blackberry. They’re getting cheaper, there’s more competition, and everyone is buying them. So, should you look forward and invest in building a mobile web site for your business?